If we all think alike, we should also be alike. We know that we are not alike. So why is it so difficult to accept it as a fact? Being a pilot or being an educated person does not mean all pilots or all educated people will have the same opinion or views about everything. Of course, all pilots will have a set of guidelines they will follow while handling an aircraft, but that's a different issue. They will not have set guidelines about everything under the sun. We are all humans and we all have flaws. No one is perfect -- its not just a fancy phrase. Its true. But hearing of flaws of people only makes me depressed. So please, tell us something good about people. I get your point. But my post is also as an educator. Yes, people are not alike. But if a vast majority of people think that the Earth is flat or that things happen magically, I think we may have some problem in our society. Today this is a bigger issue, as much of the modern society is built on modern science - and yet many of us are profoundly ignorant of how it works. Sagan called this a "prescription for disaster" - especially when you take democracy into account. So yes, people don't think alike, but to progress as a society, a good understanding of science may be essential. A round-earth, like evolution or gravity, is not a matter of opinion. It is a fact. Some people may choose to ignore it or are unfamiliar of why it is a fact. As an educator it may bug me a lot if I keep on running into flat-earthers (even though the rejection may also have to do with religious reasons). "We are all humans and we all have flaws. No one is perfect -- its not just a fancy phrase. Its true. But hearing of flaws of people only makes me depressed. So please, tell us something good about people." Sorry for a depressing post - but I think it is important to talk about these issues. As far as good current stories from Pakistan, check out Aisam-ul-Haq Qureshi at the US open. Hey - he just lost in the Mixed US Open finals, but he still has a shot at the doubles crown tomorrow. And he seems to be a fantastic guy. By the way, his opponents in tomorrow's final (the Bryan brothers) have also decided to donate for Pakistan floods from their foundation - partly (or may be fully) because of Aisam. 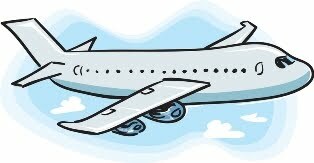 By the way, a suggestion has come that "Creationists on a Plane!" would make a great horror movie title. I concur. Try striking up the same conversation with Engineers, Doctors, Educators, Surgeons i.e. the "educated" lot and you will realize that critical thinking is actually a taboo in Pakistan. Khair, welcome to Pakistan and enjoy your Eid. If you are an educator, please do not parallel Darwin's Theory with the round Earth theory or to gravity. This is a tactic used by atheists to discredit and persecute those who do not believe in Darwin's theory. We know the Earth is not flat. There is ample evidence for this that is believable for almost everyone. We also know that the apple falls down. It does not go up. Darwin's theory on the other hand is a postulation or may be an extrapolation at best for the most part. This is not as simple as evidence for round earth. Moreover, the so called evidence the evolutionists show to prove evolution are random genetic mutations and natural selection. Mutations are extremely minor changes in the genetic make up of an organism. So, it is not easy to swallow this as the basis of evolution. And this is why people do not buy this theory. "...and yet many of us are profoundly ignorant of how it works." Let us believe that many are profoundly ignorant as you say. But it is NOT ignorance that makes one disbelieve in Darwin's Theory. In my humble opinion, doctors, engineers and other educated people do not believe in Darwin's Theory NOT out of ignorance. BUT because they know better than to be convinced of the mechanism of how Darwin's Theory supposedly works. Think of the simple life forms that existed on Earth 3.5 billion years ago. How did we human beings arose out of it? Where did the information to create bones, teeth, heart, brain, etc come from? No it did not get added to the gnome of the simple life forms by magic. But to say that random mutations and natural selection can do it and God played no role in it is utterly simplistic. This is an attempt to deliberately eliminate God from biological creation. Hawking's attempt to eliminate God from the creation of the universe is similar. While it is easy to disbelieve in what Hawking said, why is it so hard to disbelieve Darwin? a) You seem to be implying that only atheists accept evolution. In reality there are Muslim biologists working at the cutting edge of evolutionary research -and they don't seem to have any trouble reconciling Islam with evolutionary biology (I will be posting a talk about this soon). Similarly, there are also Muslim medical doctors and medical students who have no problem with evolution. This is not to say that all Muslim doctors and students accept the theory of evolution (and this is lamentable), but many do and they have no issue with that. And the same is true for other religions. Just check out the post about Francis Collins - the head of NIH - just a few days ago on Irtiqa. b) Have species evolved over time? This is a fact based on evidence mountains of evidence from paleontology, homology analysis, genetic comparisons, etc., and this amount of evidence puts it in the same category as gravity, heliocentrism etc. (by the way, apple doesn't always fall down...try it in space). Heck - even Pakistan has provide an important piece of information about the evolutino of whales with the discovery of Pakicetus (check out these 15 fantastic examples ,from the last 10 years - and Pakicetus is one of them) Darwin did not come up with the idea of evolution either. Instead, he provided with the mechanism (natural selection) - which was doubted earlier on - until the work on genetics showed that much of his approach was correct. c) "In my humble opinion, doctors, engineers and other educated people do not believe in Darwin's Theory NOT out of ignorance. BUT because they know better than to be convinced of the mechanism of how Darwin's Theory supposedly works." Actually I partially agree with you here. In my work on medical doctors and medical students, we ask people about the understanding of the theory as well - and we find that a vast majority do not understand the theory. The most common answer is that man came from a monkey - and the key evidence against they cite is that how come monies are still around (both are misconceptions: humans had a common ancestor with apes a few million years ago, and one branch of the species can evolve and still another branch can stay the same if there are no major environmental pressures. Jelly fish have been quite successful in their habitats...). So, yes, misinformation plays some part - but not all of it. You are right, many Muslim doctors reject evolution for religious reasons alone. That doesn't make them right - but they do reject it. In my opinion this is where the problem lies. if this becomes a major trend (right now Muslims have a variety of opinions on the topic of evolution), then we may see a replay of the Catholic Church's opposition to heliocentrism in the face of mounting evidence against their position (by the way, many Muslims also rejected heliocentrism until the 19th century). d) "Think of the simple life forms that existed on Earth 3.5 billion years ago. How did we human beings arose out of it? Where did the information to create bones, teeth, heart, brain, etc come from? No it did not get added to the gnome of the simple life forms by magic. But to say that random mutations and natural selection can do it and God played no role in it is utterly simplistic. " Two things: i) Lifeforms did not turn into humans instantly. It took a very very long time (3.5 billions years is an enormous length of time) and species grew in complexity slowly and not at once. This slow growth in complexity is what we see in the fossil record (observation) and is consistent with the way natural selection works (explanation of the observation). ii) Many Muslims interpret natural selection in the same way as gravity - i.e. - God used natural selection to produce this complexity - same way as God used gravity to produce the complexity of galaxies, etc. To reply to some of the issues you have pointed out. a) No I am not saying evolution is accepted by atheists only. I am only saying that Darwin's Theory of Evolution is NOT as proven a concept as is gravity or helicentrism. So please do not weigh them equally. Such phrases are used by evolutionists to emphaisze on the microscopic evidence they have. These mountains are NOT evidence for Darwin's Theory. IF by evolution, we mean change with time, then yes, it has a mountain of evidence. But this mountain is evidence for small changes like development of resistance by bacteria. Anything bigger than that, is an extrapolation. So it is NOT a mountain of evidence in favour of Darwin's Theory. c) The complexity of mechanisms of biological life makes it very hard to believe that God played no role in it. I think this is the reason why many educated people do not believe that random mutations and natural selction can create beings as complex as us. d) I think you have missed my point. That is the information in the genome of simple life forms cannot increase on its own with time. It requires intelligence to do so. If you think time can do it, time is magic here. What is the difference between magic an time? Well, okay, lets assume natural selection is God's way of creation. But what about random mutations? Random mutations cannot mean it is God who is doing it? Sounds like an oxymoron!! In short, there is overwhelming evidence of God in His creation. One has to ignore all of them to believe otherwise. I think that is the $10,000 question, isn’t it? Aren’t so many of our conflicts because we can’t understand how “Those People” (whoever They are) can POSSIBLY hold such ridiculous beliefs (whatever they are), and we will do whatever we have to do to show them the error of their ways. Even if it means screaming at them, holding rallies, burning their holy books, burning their churches, killing them, etc. Obviously we don’t ALL react to differences that strongly (thank goodness), but many people are deeply threatened by it, so do react with anger or violence. I don’t know what it is about so many (most?) humans that limits our ability to recognize that we all have different ways of experiencing and understanding the world, based on a host of complex factors (very, very much including how we were raised, I think), and that communicating with each other PAST or THROUGH our differences takes a lot of effort. And curiosity. And patience. And – big time – a sense of humor. But we have to talk about it. Isn’t that how we learn more about each other? And perhaps, about ourselves? I think that if we had the answer to your question, and we all approached our interactions with others as if being of the same species doesn’t count for too much, but seeing how many similarities we can find between us, while also observing and remaining curious about our differences…we might be able to get along more peaceably and have fewer conflicts. At the same time, we also group people (we have to, for sanity’s sake), which means that we will also postulate – based on our experience and knowledge – that certain groups of people will think or behave a certain way. Sometimes our predictions are off (aliens!). Along the way, we are – as you also said – only human, and flawed at that. Which means we will continue to be surprised at the ideas that others hold (Bad thoughts cause cancer? Really? Even for three year-olds? ...sigh…), but hopefully that won’t stop us from communicating with those others. And I think it’s a valuable topic for broader discussion, as well, because that provokes us to think about all of the issues it brings up. P.S. Salman, I once spent a summer working with a guy who was a pilot, and who was – unfortunately – one of the dopiest people I have ever known. He felt compelled to mention that he was a pilot approximately every 3.4 seconds, even if it was a complete non sequitur. My favorite moment was when someone commented on the weather (clear blue skies) and my co-worker said (truly): “Well, I’m a pilot, so…” And that was it. Not, “so…I like clear blue skies” or “so, July is my favorite month.” Just: “I’m a pilot, so…” You should be very glad he was not your seatmate. It would have been a much duller discussion. Oops. But in my attempt to explore our more general issues of difficult intra-species communication, I glossed over Salman's point that for an educator - particularly in the realm of science - it is all the more frustrating to realize how many educated people hold such outdated or inadequately explored beliefs about science and the universe. (Not talking about God here.) That is a particular issue, and one that I can imagine could be both daunting and depressing. I didn't mean to minimize that concern. But I don't feel particularly optimistic about how to change that situation, either. I guess: education, education, and conversation. And science experiments. "I think that is the $10,000 question, isn’t it?" 'tis a wide court, indeed. Plus it takes time to drop one ball, pick up a more interesting one, add a couple more, maybe juggle them, then put them all down to look at a butterfly...I wouldn't last long at a tennis match, clearly. You just make me feel sick. Most your posts look for meaningless excitements; things that are just taken out of their context yet they seem appealing for westerns. You should acknowledge that neither you nor evolution provide all the answers. The theory of evolution is a complex subject, and lots of people (the majority, I should say) hold a very simplistic view of it, without really bothering to make any in-depth study of the subject. I would really like to suggest Ali that he read the books by Stephen Jay Gould, (and Dawkins) on evolution written for the layman. They will help dispel a lot of common misunderstandings about the theory of evolution.